Unless you are shooting really infrequently, rechargeable batteries are a reasonable investment that will pay for itself in a matter of several usage cycles. The cost of a rechargeable battery is comparable to that of a single-use cell, and the cost of the charger is trivial when amortized over the lifetime of the rechargeable batteries (hundreds of cycles). And you should not discount the benefits for the environment: by using a single Eneloop rechargeable battery, you will save approximately 65 kg of waste (the equivallent weight of single use batteries). Convinced to give rechargeable batteries a try? We offer two brands of rechargeable batteries: Eneloop by Panasonic and Powerex by Maha Energy. 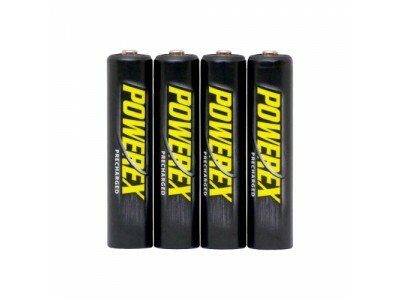 The prevailing opinion is that Eneloop is the best kind of NiMH battery in the world, but Powerex have many proponents among the professionals as they have slightly higher capacity and much better longevity than Eneloop Pro batteries (1000 recharge cycles for Powerex vs 500 for Eneloop Pro). 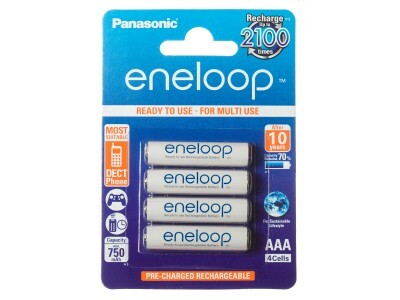 The Panasonic Eneloop (model BK-4MCCE) is a new, 4th generation NiMH rechargeable battery type AAA (R03) with a nominal capacity of 800 mAh (750 mAh minimum guaranteed) and extremely low self-discharge (1 year → 90% charge retention; 5.. 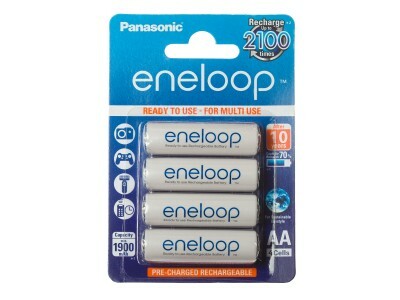 The Panasonic Eneloop AA/HR6 BK-3MCCE is a NiMH rechargeable battery type AA (R6) with a nominal capacity of 2000 mAh (1900 mAh minimum guaranteed) and extremely low rate of self-discharge (1 year → 90% charge retention; 5 years → 70% charg.. 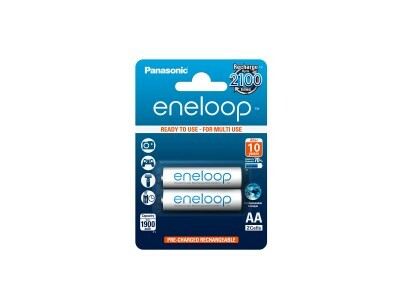 The Panasonic Eneloop (model BK-3MCCE) is a new, 4th generation NiMH rechargeable battery type AA (R6) with a nominal capacity of 2000 mAh (1900 mAh minimum guaranteed) and extremely low self-discharge (1 year → 90% charge retention; 5.. 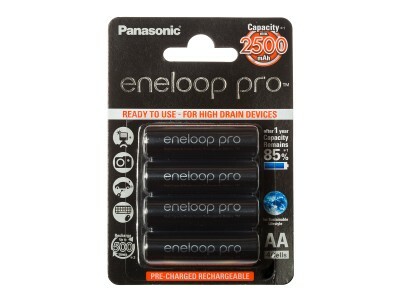 The Panasonic Eneloop Pro (model BK-4HCDE) is a 5th generation NiMH rechargeable battery type AAA (R03) for professional use. It boasts an improved nominal capacity of 930 mAh (900 mAh minimum guaranteed) while maintaining low self-dis.. 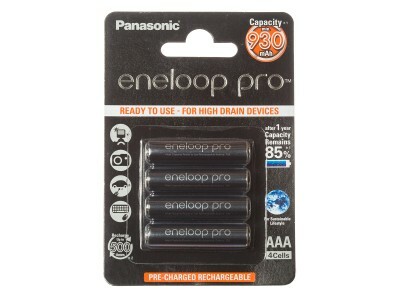 The Panasonic Eneloop Pro (model BK-3HCDE) is a 5th generation NiMH rechargeable battery type AA (R6) for professional use. It boasts a nominal capacity of 2500 mAh (2450 mAh minimum guaranteed) while maintaining low self-discharge (1 .. 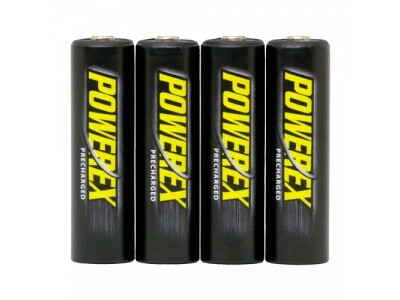 The Powerex Precharged AAA is a new model NiMH rechargeable AAA (HR03) battery with low self-discharge (LSD) and increased capacity. Delivered in sets of 4, they are rated at a capacity of 1000 mAh typical, minimum guaranteed 950 mAh and ar.. 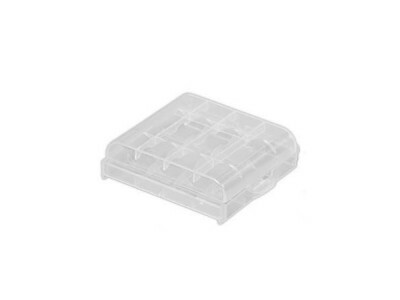 The Powerex Precharged AA is a new model NiMH rechargeable AA (HR6) battery with low self-discharge (LSD) and increased capacity. Delivered in sets of 4, they are rated at a capacity of 2600 mAh typical, minimum guaranteed 2450 mAh and are ..